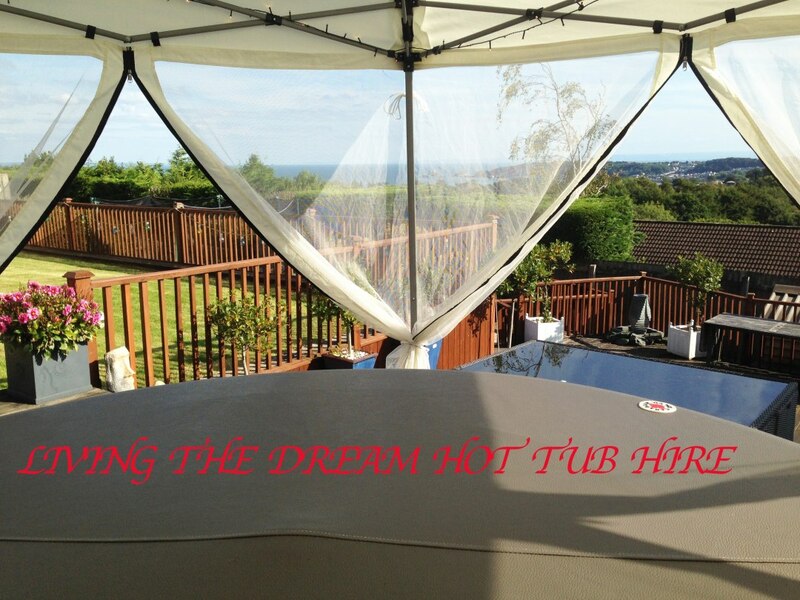 We supply solid portable Canadian Spa hot tubs with quality gazebos and lighting for midweek and weekend hire over South and West Wales..
A little bit about us, we cover South and West Wales and supply solid professional hot tubs with luxury gazebos and lighting with optional extras such as, party disco lighting, fun hot tub inflatables, flame effect machines and much more for midweek and weekend hire. 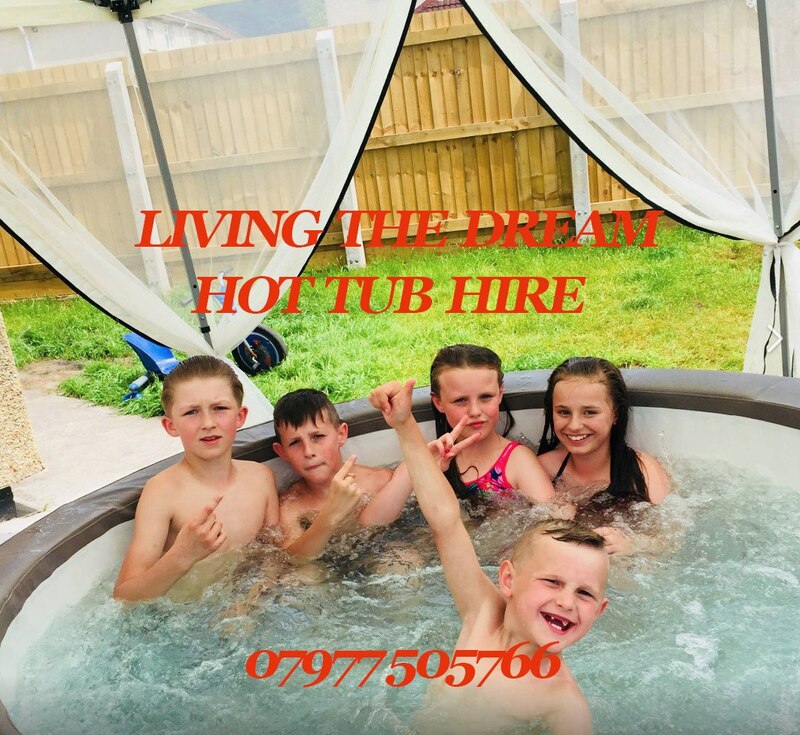 We supply hot tubs for commercial and domestic use and also celebrities, for many events such as weddings, parties, stag/hen do's, BBQ's, birthday's any celebration or special occasion for great value all year round. We only use Canadian Spa "Swift" model hot tubs they are 6+ person spas with 88 air jets. 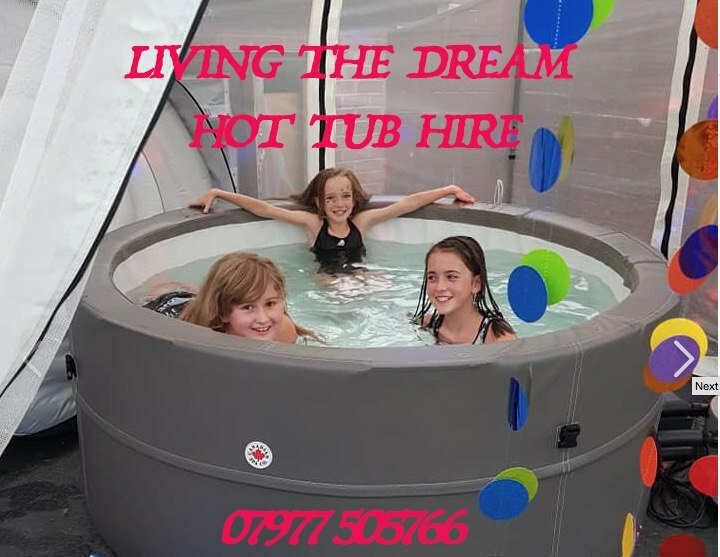 They measure 2 meters in diameter and are the deepest and largest portable solid hot tubs on the market, and we assemble them on location and can fit through any front door or side access. 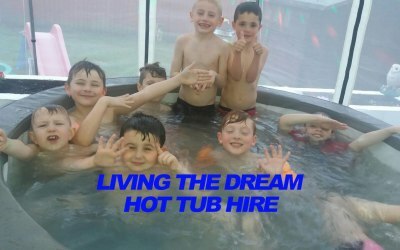 These hot tubs are also ideal for anyone with disabilities as they have strong solid sides that support you when getting in and out. 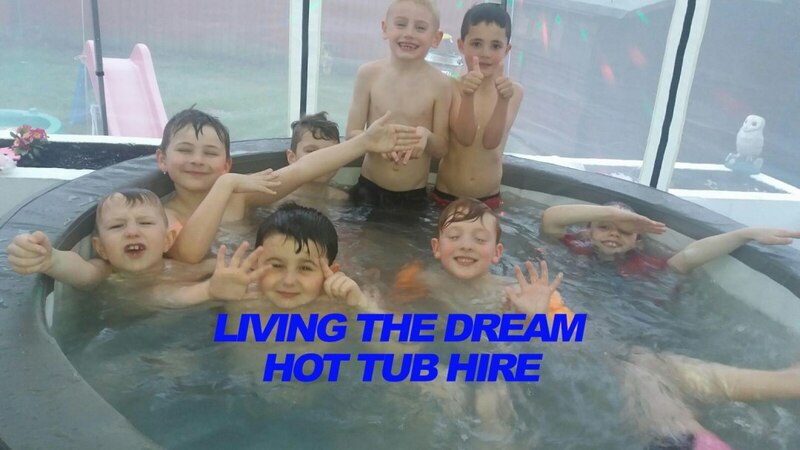 We don't hire the more domestic, shallow inflatable ones, these are high quality hot tubs that will hold the heat for longer when in use, are much deeper and will cost a lot less to run. 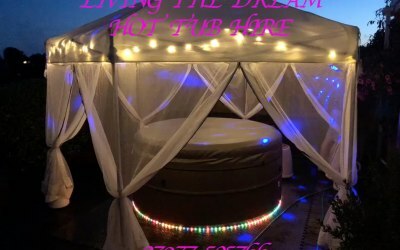 We also use luxury gazebos that come with fine mesh curtains that you can zip up if needed but still allows the area to breath while holding a warm pocket of air above and around the hot tub, while also keeping the bad weather out and really sets the stage for the hot tub. 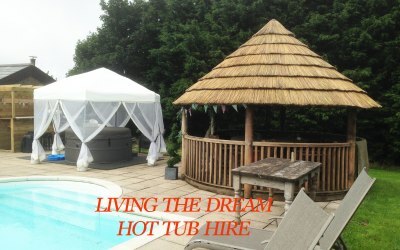 We do not charge extra for gazebos, they are included free of charge with all our hot tub quotes. 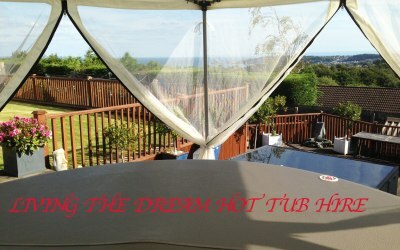 We supply hot tubs over South and West Wales and will match any like for like quote. Prices will vary due to the time of year, location and existing bookings. Now all ages can enjoy this great experience with family and friends at a very realistic cost. If you would like to see more photos, videos and other customer reviews please look us up on our Facebook page or for more information and details visit our website, so we can send you on your way to living the dream. Our client base varies from simple birthday parties, for all ages. 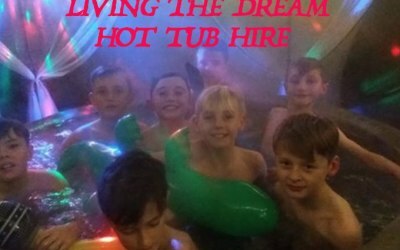 Weddings, holiday parks, children's parties, catering for all family or corporate events. 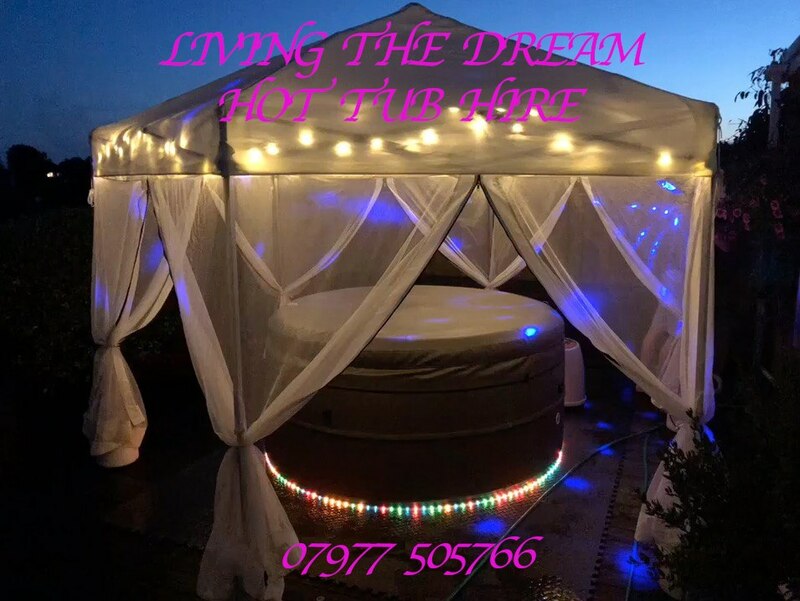 We supply professional portable (not inflatable) hot tubs for both domestic and commercial hire, provided with our hot tub hire are gazebos and mood lighting for full set up and take down. With our all year round Canadian deluxe hot tubs, every weekend is the right weekend. Fantastic idea for a birthday party! Richard and team delivered exactly what was promised. 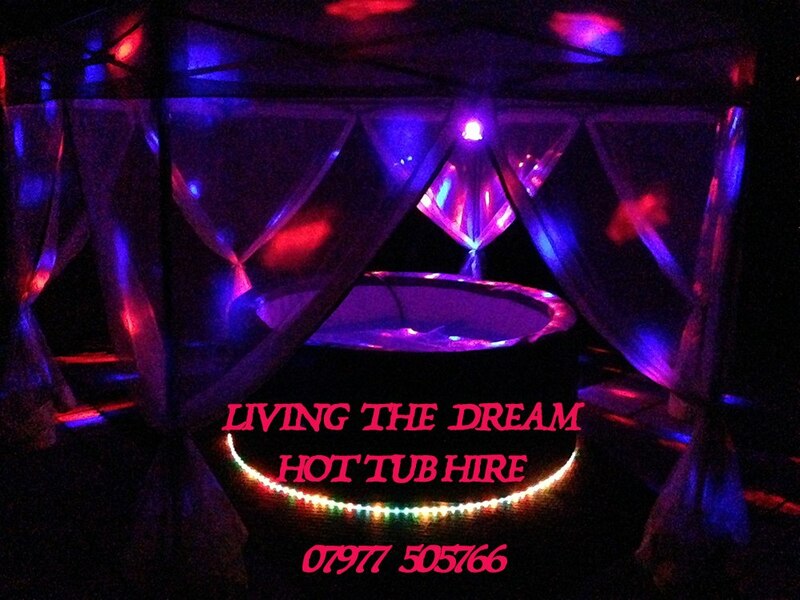 A really high quality hot tub with fab disco lights and nice gazebo. My daughter had the best birthday party ever and I had no worries as Richard kept me up to date with the order, so I didn’t need to worry about a thing. Really easy to use, I definitely felt I was living the dream. Just looking for an excuse to hire it again! Thank you Richard. Thank you Lisa, it was a pleasure to meet you. Hope to see you again. Richard. Very professional company with competitive prices. This is why I am giving, “living the dream” a five star review. The booking was straight forward. Richard answered my emails/texts immediately. They didn’t try to push any extra hire equipment. They arrived on time. The hot tub was exactly as pictured on their website. They spent time chatting with me to ensure I didn’t have any question or worries about the hire equipment. Richard told me he is available 24/7 if I have any queries. I knew exactly what time they were collecting the hot tub and didn’t even have to be at home for them to pack it away. Richard & Ken are wonderfully friendly people, they make a great team! I will be using them again and I would highly recommend them. Thank you Richard & Ken. Thank you again Lisa, it was a pleasure to meet you and your family. Speak soon. Richard. Richard was very helpful and answered queries quickly for me. Set up and take down very efficient. Will definitely recommend and use them again. Thank you Suzzie, it was a pleasure. Hope to see you and the family again. Thank you Sian, hope to see you again. Richard. Amazing 5* service and Tub! Thank you Kelly, great to meet you and the family. Hope to see you again. Richard. 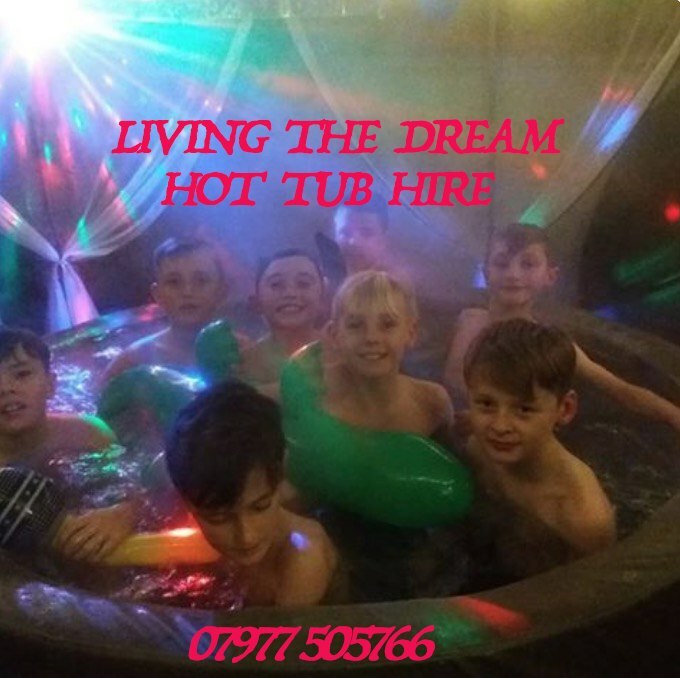 Very professional, communication was excellent and I was very happy with the hot tub and gazebo, also the disco lights were fab. 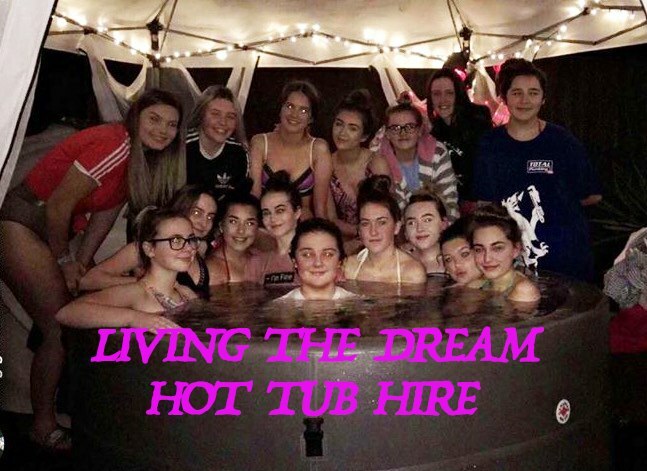 My daughter had a fab birthday weekend and I would highly recommend living the dream hot tub hire to everyone. Thank you very much Rachel, glad you all enjoyed. Look no further than these guys. Professional from the first contact. Hot tub was great, all the trimmings set it off nicely,(lights and disco ball). Sorry no images, didn't want to get out for that long !!! I'll definately be a returning customer. Thank you for your kind words Simon. Look forward to seeing you again. Richard. HIGHLY recommend, Richard keeps us informed throughout with arrival and pick up. Living the dream had everything value for money, efficient, even a little comedy while setting up. Thank you Adam, it was a pleasure. Hope to see you again at some point. Richard. Fantastic service from a very friendly professional company! 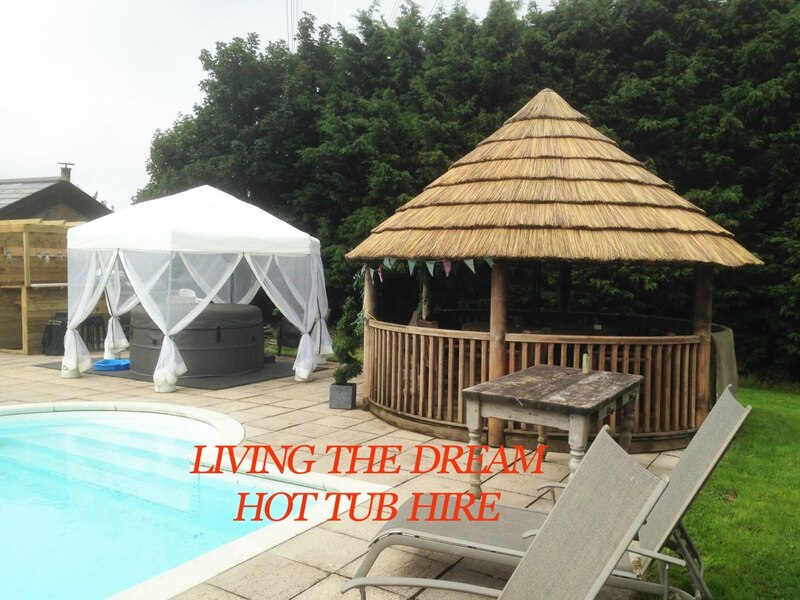 We can’t wait to use your hot tubs again and will definitely recommend you! Thank you very much Michelle, it was great meeting you both and the puppies. See you soon. Richard. Excellent service, easy to look after. Hired for a family hen party which we all enjoyed. The disco lights were an added bonus. Well worth it for the weekend. Thank you Susan, for your kind words. Hope to see you again. Richard. 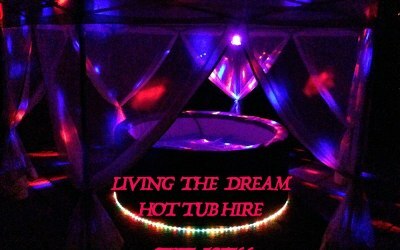 Get quotes from Living The Dream Hot Tub Hire and others within hours.